The 12 volt power wire was ran across and through a hole in one of the grommets on the fire wall. 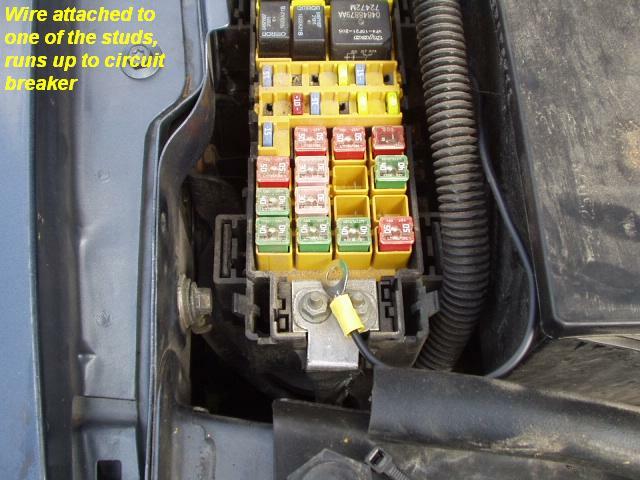 It connects to the Black wire on the Tekonsha Brake controller. The Brake light switch on this truck was the White wire with a tan stripe. 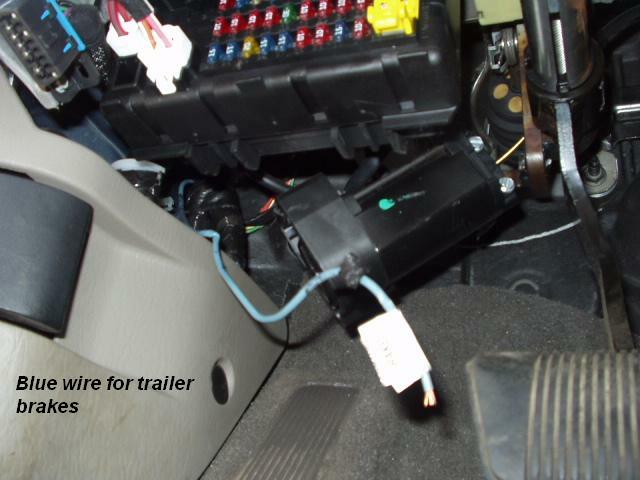 (I have found some later Jeeps, the wire was purple with a tan stripe ) Find the brake light switch (on the pedal), and you will see that the harness from it goes forward to the firewall. Peel back the harness wrap, and you can see the wires. Finds the Small white wire with the Tan tracer Stripe. 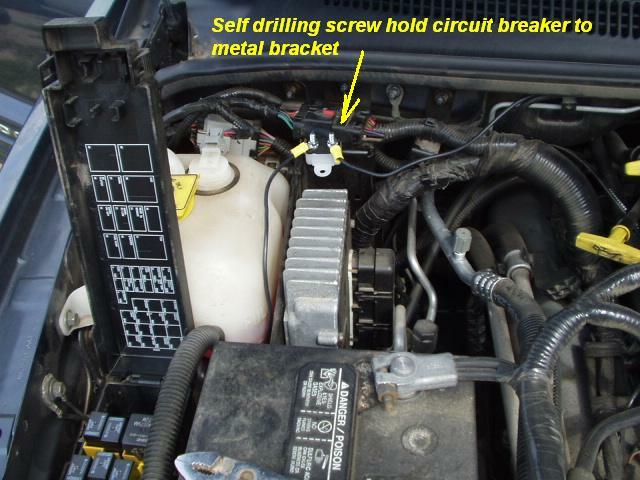 With a side tap, (Scotch lock) tap into this wire for the Red Wire on the Tekonsha Brake control.